Oil paintings and antique furniture from a Georgian residence in Kinsale will form the bulk of lots at the Lynes and Lynes auction in Carrigtwohill, Co. Cork next Saturday (March 23). The executors sale of contents from DeCourcey House at Scilly will feature books of Cork interest including Somerville and Ross first editions and two lots from the White Star liner RMS Celtic which ran aground in Cork Harbour in 1928. 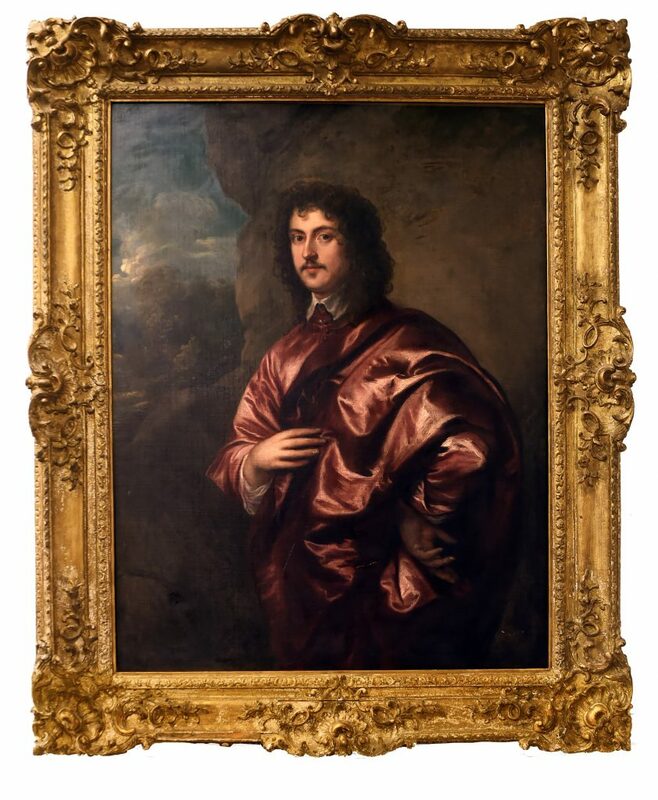 Lot 100 is a large 17th century portrait in the manner of Sir Anthony van Dyck (10,000-15,000). There is a battle scene in the manner of Paul de Vos (Flemish 1595-1678) (1,500-3,000) and an oval military portrait. 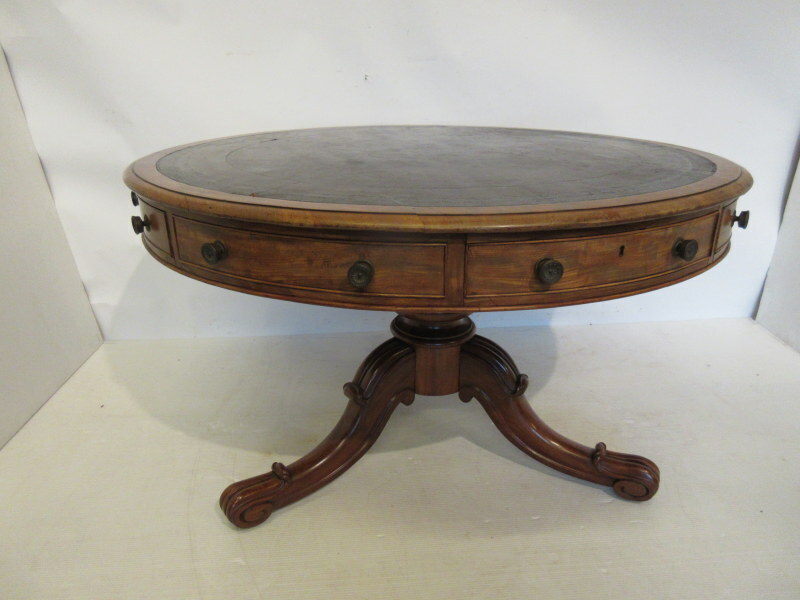 An Irish 19th century rent table in the style of Williams and Gibton is estimated at ,500-2,000. Other furniture includes an Irish early 19th century gothic style bookcase (600-1,000), a set of 12 Cork 11-bar dining chairs (3,000-4,000) and an arched gilt 19th century overmantle mirror with twin side columns (2,000-3,000). Books include Adventures Amidst The Equatorial Forests and Rivers of South America and In the West Indies And the Wilds of Florida by Villiers Stuart of Dromana on the River Blackwater. Sketches in India taken at Hyderabad and Secunderabad by Captan Allan N. Scott comes with 101 photographs and Geology Familiarly Illustrated by CMW from 1859 contains 31 hand coloured lithograph scenes. Two ships chairs on metal bases from the RMS Celtic are estimated at 200-300 and a ships library table is estimated at 200-300. A cased model of a Stena Line ferry is estimated at 1,500-2,000. The silver on offer includes a George III fox head stirrup cup, London 1802 (2,000-3,000). Among the books is a long run of Capuchin annuals including the year 1966. 17th century portrait of a bearded man wearing a red cloak.